What Materials Are Used in Metal Fabrication? Home / Fabrication Materials / What Materials Are Used in Metal Fabrication? 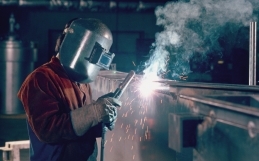 Fabricators form, cut and use other similar processes to create metal parts, components or machinery. Techniques used in this process include welding, lathing, milling, and grinding, among others, that will suit their clients’ specific needs. Here are the materials most commonly used as they pertain to specific projects. Metal casting has been performed for more than 6,000 years. It involves forcing liquid metal into a mold which then cools and hardens into the desired shape. Casting is ideal for applications that involve complex shapes, since it is highly flexible. Raw materials used in the casting process include molten metal, concrete, epoxies, and clay. The metals used include stainless steel, aluminum, iron, gold, silver, copper and magnesium. Fabricated metal hardware is used strengthen products and make them more functional, such as handles, locks, latches and locks. 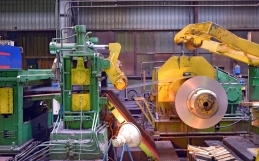 Pressed or rolled metal can vary in thickness, but are still rolled very thin within centimeters. Measured in gauges, flat metal fall into one of three categories: foil or leaf metal (the thinnest type of flat metal), sheet metal (the most common), and plate metal (thicker than 0.25 inches). I-beam: Also known by many other names, such as H-beam and W-beam, the I-beam is a long steel cross-section beam. Z-shape: As the name suggests, this type of sectional metal is shaped like a “Z” with half a flange protruding in opposing directions. Hollow structural section (HSS): This sectional metal has hollow piping. It comes in various standard shapes, including square, circular, rectangular and elliptical. They can also be angled, channeled, T-shaped or asymmetrical. Bar: The bar sectional metal type consists of a long and flat piece of rectangular cross-sectioned metal. Rod: A long circular or square piece of meta. For example, rebar falls under this category of sectional metal. Expanded metal derives its name from the process through which it is created: stock metal sheeting is sheared in a press to create diamond-shaped holes surrounded by interlinked strands of metal—the shearing stretches (or expands) the metal to its final size. The resulting grate-like aesthetic makes expanded metal ideal for outdoor furniture, fencing, screen doors, and various architectural details; it is also used as guarding on machinery to avoid contact with hot surfaces. Expanded metal raw materials come in a variety of standard thicknesses and grating sizes. Welding wire consists of metals that are easy to solder. They are formed into thin, circular rods and are used to help with the process of welding by being melted for bonding together multiple pieces of metal. Welding wire allows for customization in the welding process with a variety of thicknesses and metal types. 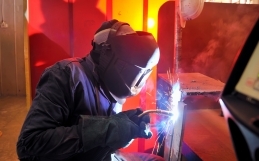 Metal fabrication is an important part of nearly every manufacturer’s operations. It’s used in a wide variety of industries, including everything from automotive and construction, to the food and beverage industries. 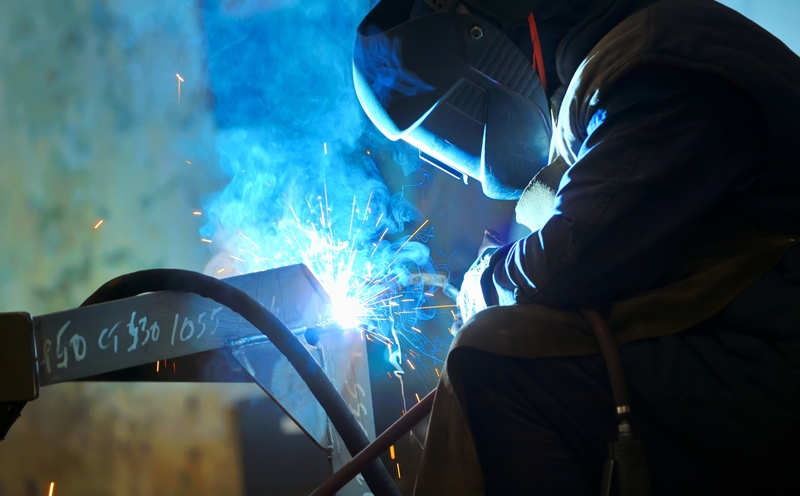 Before you start a project that involves metal fabrication, it’s important to understand what materials are available and which best suit your needs. Have questions? Contact CE Metal today!